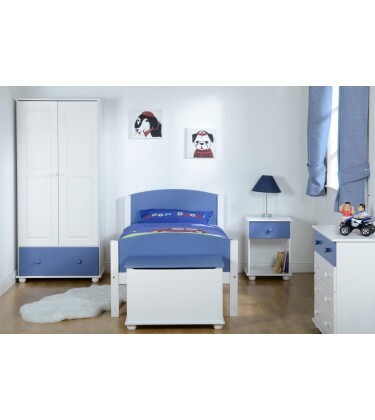 This is a Solid Pine Bedroom Set comprising of a 1 Drawer Bedside Cabinet, 4 Drawer Chest, Blanket/toy Box, 2 Door 1 Drawer Wardrobe and a 3ft Single Bedframe. 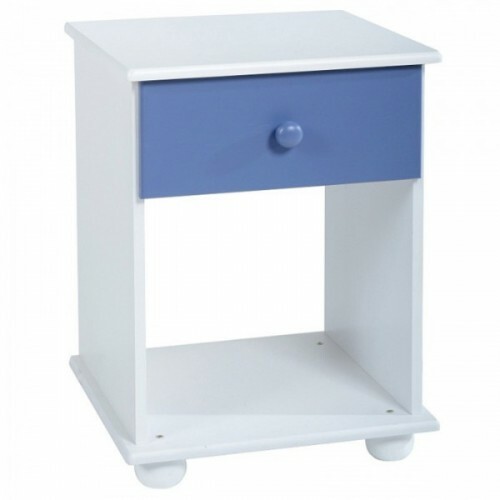 With its bright bold blue design and soft white furnituring, this will make any little super-heros room. 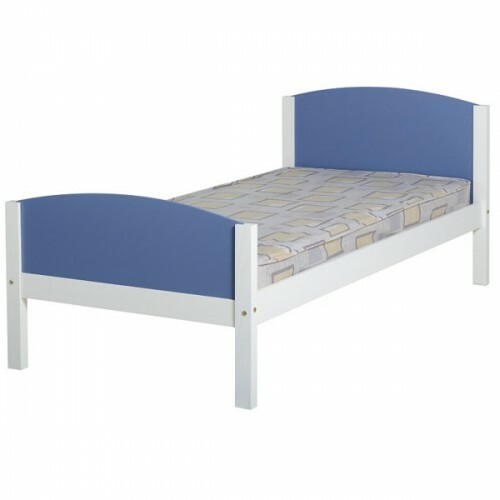 Self-Assembly Required, Comes Complete with assembly instructions and fittings. 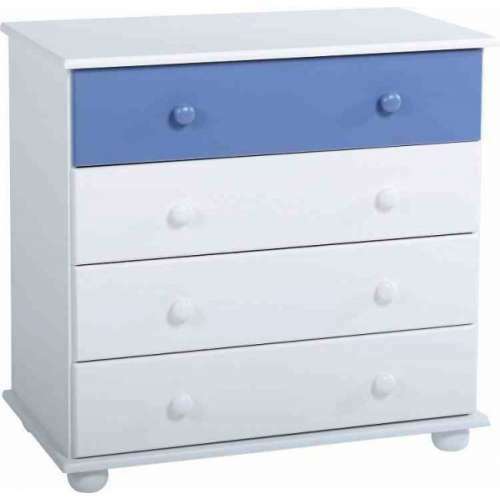 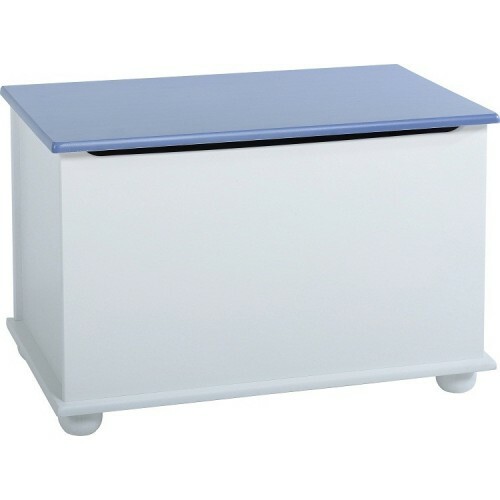 Features: Bed, 2 door 1 drawer wardrobe, A Chest of 4 drawers, Bedside cabinet and a Storage box.